It allows companies to evaluate people quickly, objectively and reliably to help HR recruiters make decisions on candidates and employees. At IIC we have developed eValue, an online system of transversal competencies assessment, that is, personality traits and aptitudes, valid for both external or internal recruitment contexts and talent selection or identification of training needs. eValue is a library of online interactive exercises to assess competencies, skills such as “solving client’s problems”, “team management and development” or “initiative”. Besides, eValue catalogue is complemented by tests to assess Personality and Intelligence, given the high predictive value these variables have on the future performance of the candidate. Given each competency, the most suitable assessment technique has been selected according to the goal of the assessment: work inbox exercise, aptitude test, self-report, situational test or task performance test. 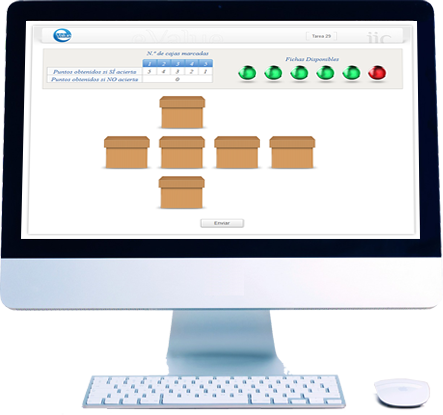 After the tests, eValue automatically generates a report for each candidate, where score and level obtained are specified, along with the proper interpretation. Results can also be visualized —and exported— individually or as a group, and it is possible to do the same with a complete process. eValue allows customising the assessment process with the most suitable tests, depending on the goal of the assessment. Tests are available in Spanish and English. Some tests are also available in Brazilian Portuguese. The Head of HR may choose between customised recruitment, being advised by the team of psychologists at IIC on the most suitable tests for the professional profiles that need to be evaluated, or select any of the sets of tests already chosen by the Institute for certain profiles such as sales, entrepreneurs, team managers or young professionals. At the beginning of the process, instruction manuals of the management system are provided along with all the documents needed to start using the tool. Moreover, our team is readily available to solve any doubt arising during the process. The Head of HR may connect to eValue online in order to manage users and assessment processes, as well as download reports and scores, check the status of assessments, create or customise users, etc. Candidates can connect online and complete the tests already assigned to them from any computer at any time. There is no need of downloading any software. Online assessment contributes to reduce costs both in a proctored environment —it is a more economical method than a face-to-face assessment process— and through remote access (as there is no need of computer rooms or administering staff when the test is taken at home). eValue brings equity to the process. Tests are the same for everyone, and the way to gain score too. This allows comparing candidates to each other and also to a general eValue sample. eValue offers relevant and objective information about certain behaviours of the person evaluated, complementing the qualitative information collected in a personal interview. eValue provides objective criteria to help recruitment staff to make decisions. For instance, to select the candidates who may pass onto the next stage of a process if it is not possible to meet all of them for a personal interview, or to pick up the employees with potential who will be in the final group to be trained or promoted. eValue results from the development and research carried out in the context of people assessment since 1997 by the team of psychologists, psychometricians and information engineers at IIC. Likewise, we collaborate actively with the Universidad Autónoma de Madrid, sponsoring the Psychometric Models and Applications Chair, and the results of their research are being incorporated into eValue for continuous improvement and update. eValue is being used both in national and international big companies, as well as in SMEs. Over 20,000 people from different countries, nationalities and professional profiles have completed it. The tests have undergone rigorous procedures in order to guarantee their reliability and validity. Tests are analysed periodically in order to ensure their effectivity and guarantee they are solid in scientific terms. Our clients can check these psychometric guarantees. eValue is being supervised 24 hours a day, which guarantees the system availability. The technical soundness, along with a specialised technical support team, guarantees a very low number of incidences and a quick response time. Promotes the brand image of the employer: tests are designed as interactive games, which makes the assessment process entertaining, innovating and enjoyable for the evaluatee, keeping rigor and exactitude. Offers constant technical and advising support: our clients are in direct contact to the team of eValue developers, get advising on use and interpretation of tests. eValue may be conducted in the same platform as eCat (online English test which may be integrated with eValue). Therefore, the evaluation is made more dynamic and the evaluator is provided with a visualization of results. The software is 100% IIC: it is possible then to adapt eValue to each client’s needs, even to develop customised tests and integrate them to the platform. It is a quick, flexible and simple system and it is available in Spanish and English. The eValue team ensures that the personal data protection is rigorously followed regarding the information incorporated into the system. 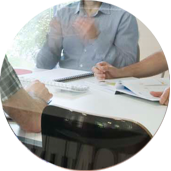 Our clients enjoy the added value of using eValue for their assessment processes, whether they are ongoing and massive processes —as big companies from the finance sector, public sector and technology consultants do—, or specific and occasional processes involving a lower number of candidates (as is the case of SMEs and Recruitment Consultancies). Besides, we help our clients with the process to optimize the use of eValue, either performing customised studies, developing specific tests or with technical and psychometric advising during the assessment processes. Working with our clients is an ongoing learning process for us to improve our products and services continuously. We concentrate our efforts on researching new ways of assessment, and develop innovating tests to adapt to the needs of current organizations. eValue provides objective criteria to help recruitment staff to make decisions.